When you download any file form the internet and save it to NTFS drive, the windows operating system adds specific metadata to these downloaded files. 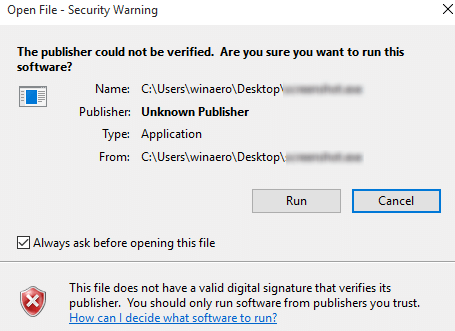 These metadata are considered to be attachments.This is the default operation carried out by the windows OS.While trying to open or execute the downloaded files you are bombarded with security warnings from the system that states that “the file has its origin in unknown source s and can be a security threat”.This is an annoying default setting of windows 10 OS that prevents you from opening or executing the downloaded files directly. Metadata is knows as data that describes other data. Meta is a prefix that is used in information technology and usually means “an underlying definition or description.The metadata added as attachment to the downloaded file is known as Zone Information. The Zone information is an invisible file stored along with the downloaded file in form of an alternate data stream. Both the downloaded file and metadata is stored in the same location. As you disable the smart screen message another dialogue box shows up with the option to run or cancel. Now the user has to manually unblock the downloaded files. This can be done with a Right click on the file and selecting the properties option on the menu. Then select the General tab and select the checkbox named “Unblock”:But the process it tiresome and time taking. To unblock every file in this method is pain strikingly slow process. Let us instead focus on the preventive measure and stop the windows from adding additional Zone information. No zone information means no smart screen security warning and no need for unblocking the download files. In case your Windows 10 editor does not come with the Group Policy apps, you can go for a simply Registry optimisation. Step 1 – Press the windows keys +R on your keyboard simultaneously. If you don’t have the particular key then you needs to create it. After you have executed this procedure, you won’t need to unblock files downloaded by using browser or download manager under this setting. The other method involves modifying the file extension that is considered a security threat by Windows. This can be done after you have downloaded the file form the internet. Step 2 Go to User configuration and select Administrative Templates. This method is effective in removing the unnecessary security block imposed by the windows on files downloaded from the internet. 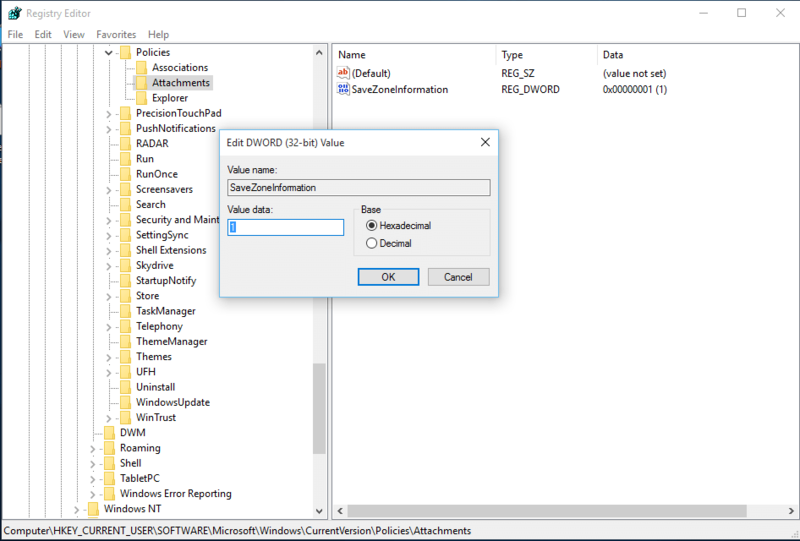 As the zone information is not being saved as file attachments, the file explorer won’t have an attachment to check.